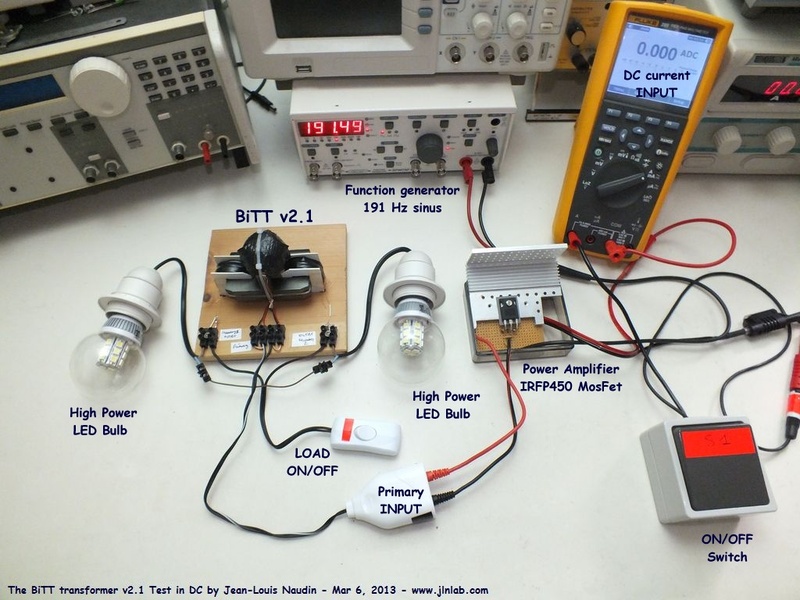 March 6, 2013 - DLE-TEST11 : Following the successful tests of the BiTT v2.0 based on the Thane C. Heins' Bi-Toroid Transformer from Potential Difference Inc. Canada, I have improved the model (now the v 2.1) by driving the primary with a power amplifier powered in DC CURRENT. 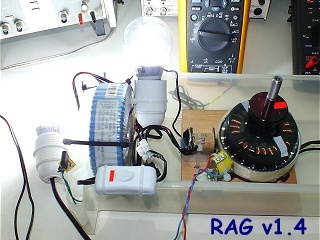 So, it is more easier to measure the change of the DC INPUT power by measuring the DC CURRENT (loaded and unloaded) with an ammeter connected at the input of the power amplifier. 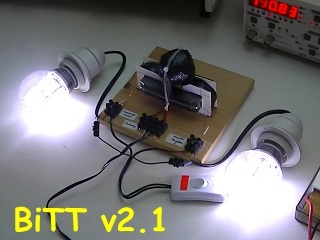 A sine wave function generator provide the required signal to drive properly the BiTT v2.1. 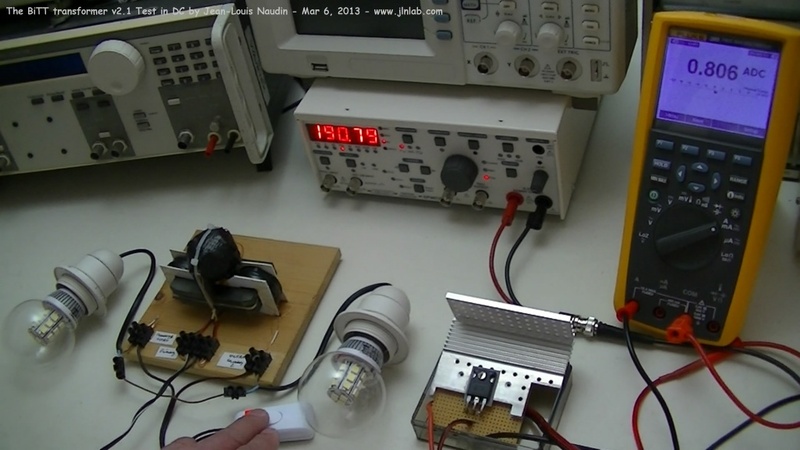 In this test, there are 2 High Power SMD LED bulbs connected (via a switch) directly to each secundaries. The optimal working frequency is about 190 Hz. The DC CURRENT mesured at the input of the power amplifier which drives the primary of the BiTT remains INVARIANT LOADED or UNLOADED. 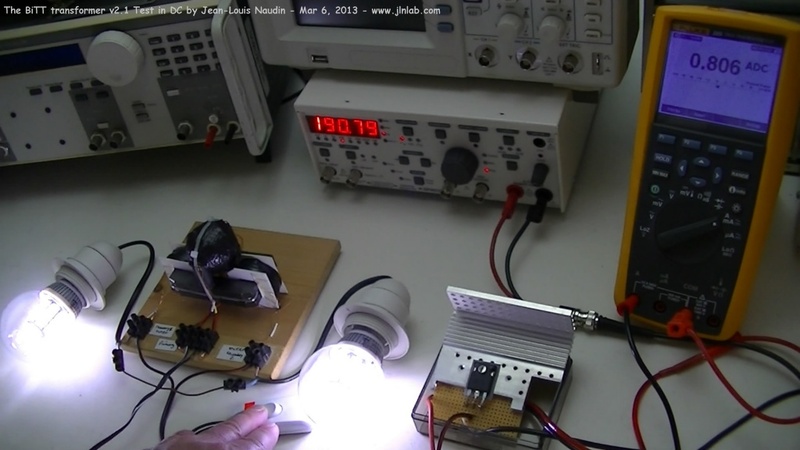 The two SMD LED bulbs are lit at full power. 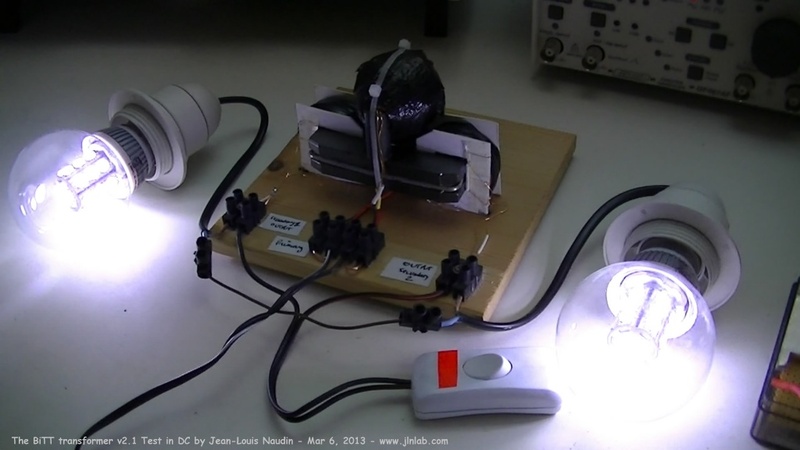 How to make a Bi-Toroid Transformer and Exceed 100% Efficiency by Thane C. Heins PD inc.